PocketFlips are fun, fresh and innovative! They are a 3D motion flip album. People can’t seem to get enough of Pocket Flips. 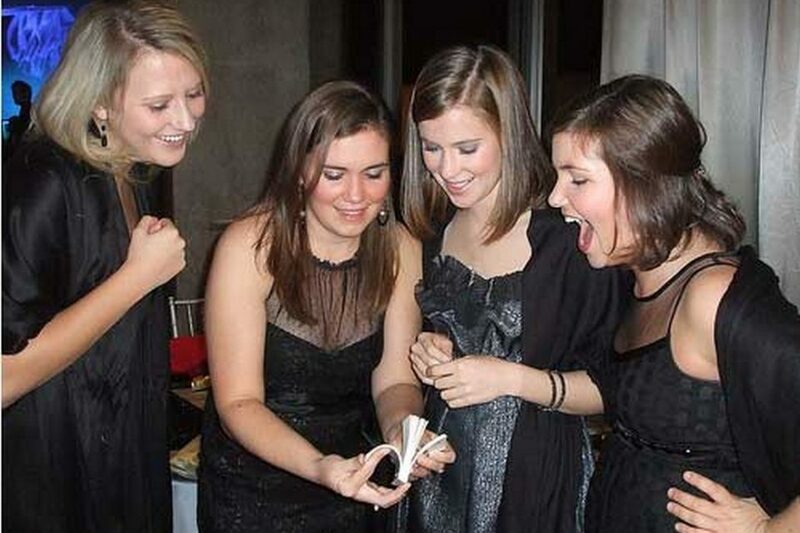 What makes Pocket Flipbooks for Events so popular? It’s a flippin good time! PocketFlips are fun, fresh and innovative! They are a 3D motion flip album. People can’t seem to get enough of Pocket Flips. The first flip book appeared in 1868 as a series of sketches. Today, however, technology has made it possible to transform short movies into FlipBooks. We can make an entire FlipBook in about a minute and a half just about anywhere at any time with such unbelievable quality! You’ll think of it as Pocket Cinema! Then watch people laugh as they flip through their very own Pocket Flip book. Pocket Flips are such a fun way to get guests to mix, mingle, socialize and just have some plain old fun – plus what’s great about it is your guests have something to show off (their little flip books) and take with them as a memento of your event. Imagine the reaction as your guests sit down for dinner and find this little flip book awaiting them. They begin to flip through it and find a scene acted out by the hosts. It’s funny and hilarious to watch. Instantly they begin to share it with others at the table. What a fantastic way to start your function, but it doesn’t stop there now your guests have the opportunity to go and make their very own Pocket Flip book. You’re getting married or it’s your 50th birthday so why not send an invitation with a difference! Stand in front of the camera, act it out and create your very own Pocket Cinema invitation book of ‘Your invited….’ Or create your very own ‘Thank You’ Pocket Flipbook with your corporate logo and send it to all your customers. The types of messages are endless but the impact is amazing. You can be guaranteed that your guests or clients will be thinking ‘what are they going to do next’ and will be looking forward in anticipation to your event or party. Create powerful advertising using this simple yet very effective product. Guaranteed to grab the attention of your audience and create that point of difference. Pass them out to people as they pass by your trade booth or at your product launch and watch the reactions on the recipients faces as they begin to watch it. 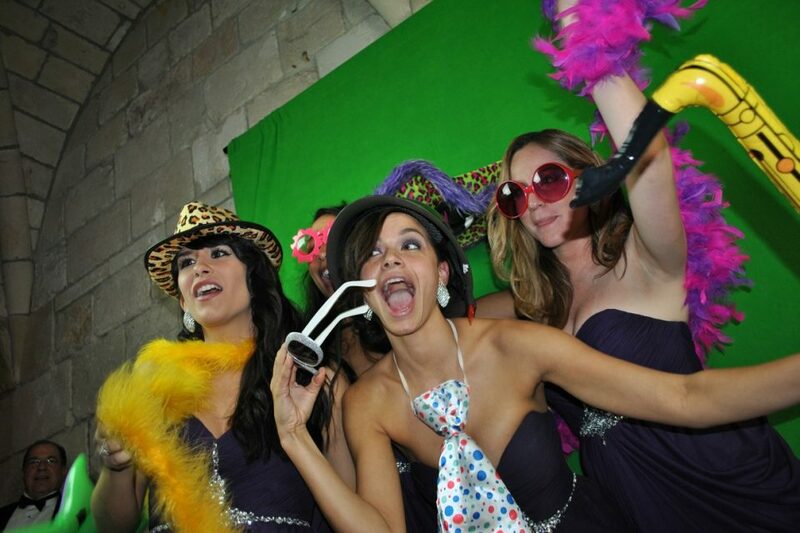 Make your next event a “FLIPPIN” one! Q: HOW MANY PEOPLE CAN BE IN THE FLIPBOOK MOVIE AT ONCE? Normally 2 -3 people can be in the movie clip at once. Q: HOW LONG DOES IT TAKE TO MAKE A FLIPBOOK? 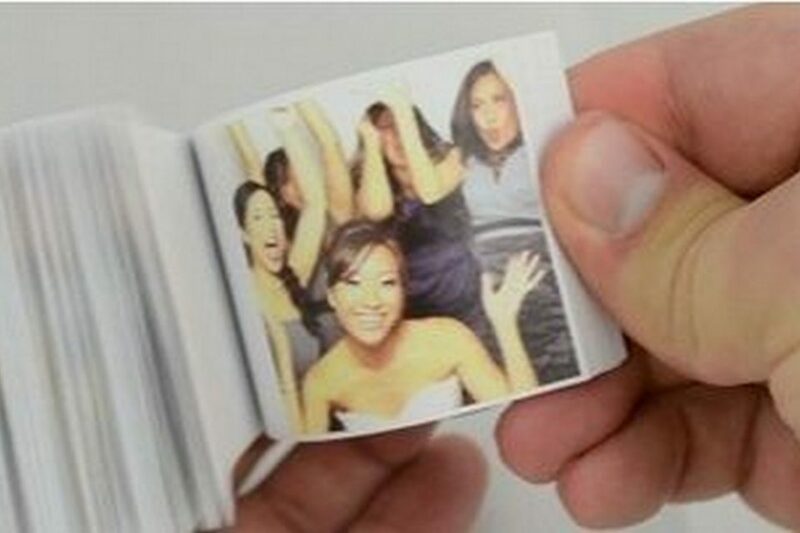 It normally takes about 90-120 seconds to film, print and assemble the flipbook. 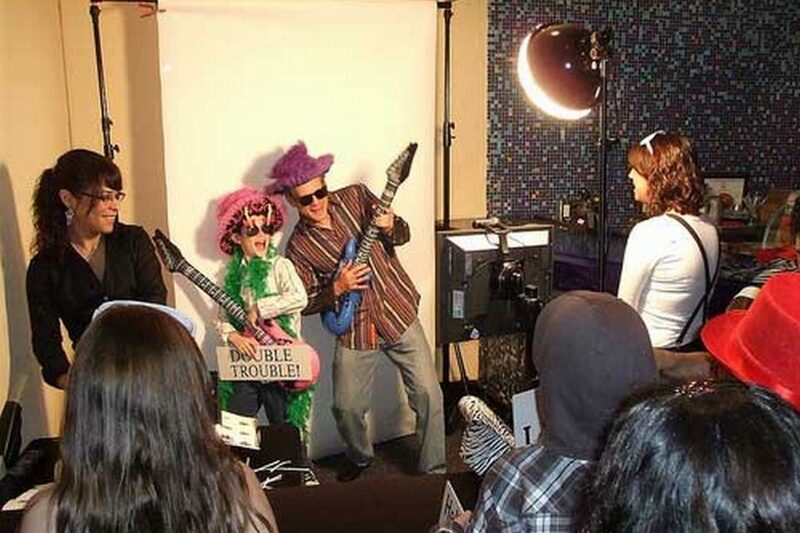 We can tailor any of our entertainment options to suit your requirements, outcomes and of course budget. Please don't hesitate to contact us for a fixed price quote.